Commercial/Residential Electrical Supply House - Serving New York and New Jersey for over 25 Years! EDI is a commercial/residential electrical supply house that emphasizes the importance of service for their customers. 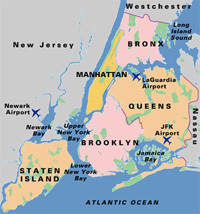 We service all of the five boroughs, as well as, Northern and Central New Jersey. EDI has everything it takes to light a home or office at very competitive prices, while maintaining a high standard of excellence in service. You can count on EDI to deliver the right product to the right place at the time needed. Our service is what sets us apart from our competitors. Our employees strive to give you exactly what you need, at the time you need it by executing every order to your satisfaction. We specialize in providing many value added services such as: early morning, same day, night and weekend deliveries making us second to none in service. Orders can be processed as late as 5 pm for next day deliveries which saves our customers time and labor costs. There is no part of a job that cannot be performed because we have your material at your disposal in a timely fashion. We have a 99% fill rate which makes EDI your one-stop supply shop. Even the owner has been known to make deliveries. Excellent service keeps money in your pocket. We supply everything but the electrician! All quote requests are expedited by our top notch sales personnel as soon as they are received via fax, e-mail or phone. We notify our customers of non-stock items immediately and make all of the necessary arrangements to order them ASAP. It’s like having the information at your fingertips because service is our number one priority. Additionally, EDI maintains a counter service which can accommodate “will call business” for our customers. proud Members of IBEW Local #3.